In Game of My Life Texas Longhorns, prominent Texas players of the past and coaches Darrell Royal and Mack Brown share their fondest experiences and game-day memories of the games they remember the most, largely in their own words, with authors Michael Pearle and Bill Frisbie. Longhorn greats take the reader on a journey back to some of the greatest games in Texas history. How did Earl Campbell prove that he was worthy of the Heisman? How did a Snickers bar help convince Ricky Williams to return to Texas for his senior year? What was Vince Young really thinking just before the 2006 Rose Bowl? 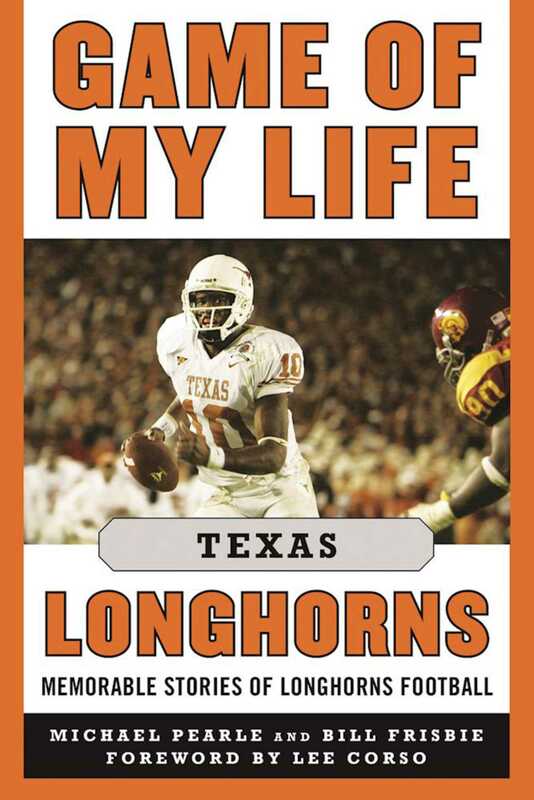 In Game of My Life Texas Longhorns, fans will find the answers to these questions and many more as more than twenty of the greatest players relive the moment that shaped their college football career. Within these pages, Texas fans will finally get the chance to step into the game and onto the grass with their favorite Longhorns legends. UT grads Michael Pearle and Bill Frisbie walk readers down memory lane to capture some of the most exciting, poignant, and fulfilling games ever played by the Horns. A must-have for any Horns fan.